Amagami (アマガミ Gentle Bite), is a dating simulation game developed for PlayStation 2 released on March 19, 2009. 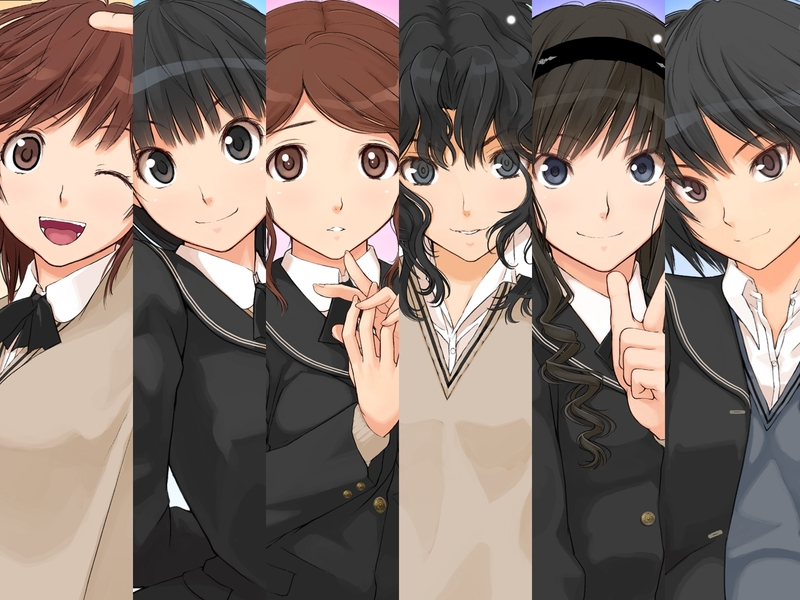 The anime adaptation Amagami SS begun airing on July 1, 2010 with a planned 24 episodes. Tachibana Junichi, a second-year high school boy, is put in an uneasy situation during Christmas due to a past incident. This Christmas will be his last chance to ask out a graduating senior Morishima Haruka, a popular senior student with many adoring fans. OR he can ask out one of several other classmates. There is class representative Ayatsuji Tsukasa, a seemingly kind and friendly hard worker but is really a manipulative and cunning person. There is Sakurai Rihoko, a girl with a huge appetite, Tanamachi Kaoru his childhood friend, Nakata Sae and Nanasaki Ai. Pick any or pick all, what’s there to lose? A guy can only wish.